At Ampsy, we constantly innovate and improve on what we’ve built. As a result, sometimes we make some big changes worthy of announcement. Here’s a quick look at some of the updates we made to our Enterprise platform you can look forward to. 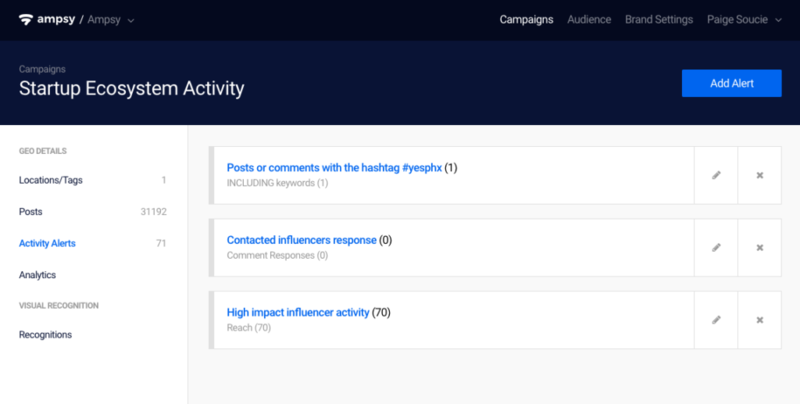 We realized that it was time to clean up our previous layout to make it easier to move around between campaigns and brands. With this update, we shifted our navigation to the top of the page and allow for easy toggling between brands. No more multi-clicks to get where you need to go. 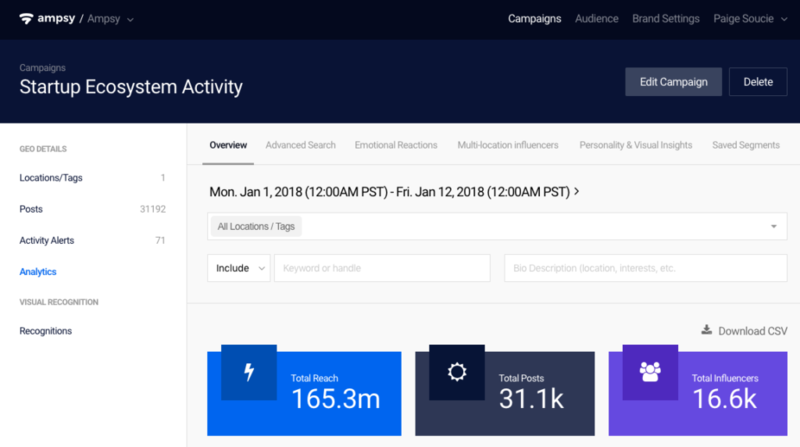 After some research, it became clear that both audience and alerts were crucial parts when managing a campaign. We broke out these two sections to make them easier to access. 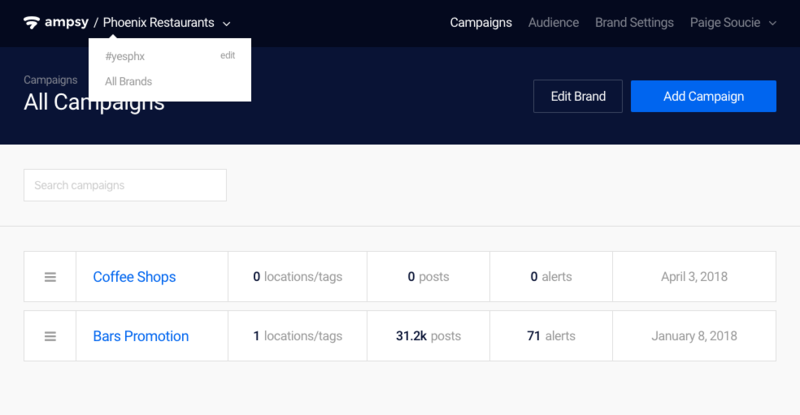 Based on popular demand, we also implemented multiple alerts for campaign. Get ready for those actionable pieces of content! One of the best parts about listening to your audience is how much information you can capture. The potential is limitless. It doesn’t do you much good if you’re not able to make sense of all the data you capture, though. That’s why we reorganized our analytics section to allow for easier evaluation and management. Our goal is to continue to improve and make our platform better. We value user feedback and know that ultimately you’re the ones who will benefit the most from these changes. If you have recommendations or feedback, don’t hesitate to reach out to us! That’s what we’re here for.